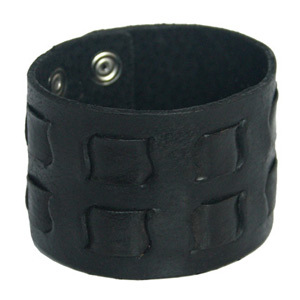 Skilled leather jewelry artisans handcraft a quality wristband bracelet for men and women. The snap fasteners closure contrast the sturdy black leather. 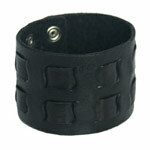 This bracelet is adjustable for 2 wrist sizes.